The risks of using opioids while pregnant have been well documented, but pregnant women continue to take them. Here's what you need to know before you do it. Information about the dangers of opioid use during pregnancy is abundant. We've reported on their ability to cause birth defects and harm babies—but people continue to pop the pills while pregnant. It's a serious problem and it's one that isn't resolving itself anytime soon. According to a recent study, the increase in use of these heavy-duty prescribed painkillers has likely driven up rates of neonatal abstinence syndrome, a series of problems that occur when a baby is born after being exposed to opiate drugs during pregnancy, which can cause low birth weight, feeding difficulties and even seizures. "The steep increase in the number of opioid prescriptions dispensed in the United States has been associated with a parallel rise in their misuse, fatal overdoses, and heroin use. More recently, attention has been focused on the large increase in the number of infants born with neonatal abstinence syndrome," Nora Voklow, M.D., director of the National Institute on Drug Abuse at the National Institutes of Health, said in a release for the study. With all these dangers, why do physicians continue to prescribe opioids? "Sometimes, doctors prescribe opioids to pregnant women because they have weighed the relative risks and benefits and determined that opioids are the best course of treatment. If a pregnant patient has been receiving opioid medication for addiction treatment, it can be safer for both mother and baby to continue that treatment. Also, for some acute pain conditions in some pregnant patients, opioids may be the best option," Dr. Voklow explained. But while opioid prescriptions might seem like the right move for certain patients, Dr. Voklow warned that this issue should be taken more seriously. "Unfortunately, doctors and other prescribers are often not adequately trained on pain management and may not be knowledgeable about when opioids are clinically indicated and when the evidence suggests that opioids are not the appropriate first line treatment. Given the potential risks of opioid treatment to a developing fetus, doctors should only prescribe opioids to pregnant women after careful consideration of treatment alternatives and with adequate safeguards and monitoring," she said. Opioid use during pregnancy is not a black and white issue. The risk of neonatal abstinence syndrome increases if opioids are taken for long periods of time or close to delivery, according to Dr. Voklow. While rates of neonatal abstinence syndrome have increased dramatically in recent years, the exact effects of opioids are not yet known. "The effects of opioids on the developing brain are not fully known, studies in animals have shown that opioids can cause impaired central nervous system development and impaired maternal attachment, while epidemiological studies show an association between prenatal opioid exposure and some birth defects," Dr. Voklow said. Despite these mounting dangers, opioid use is only getting more common, according to the study's author. "A recent analysis of opioids prescriptions among women of reproductive age showed that, on average, 27.7 percent of privately insured and 39.4 percent of Medicaid-enrolled women filled a prescription for an opioid from an outpatient pharmacy each year," Dr. Volkow told Fit Pregnancy. Dr. Volkow explained the statistics in greater detail. 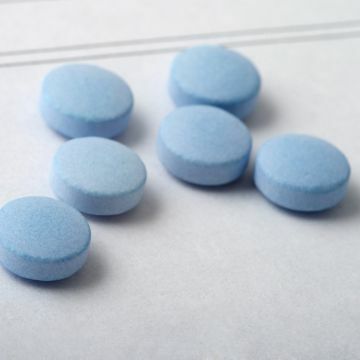 "Among pregnant women, a study of approximately 534,000 pregnant women with private insurance during 2005–2011 showed that 14.4% filled a prescription for an opioid during pregnancy," she said. "In a study of approximately 1.1 million Medicaid-enrolled women nationwide with pregnancies during 2000–2007, 21.6 percent filled a prescription for an opioid from an outpatient pharmacy during pregnancy. As for trends, one study showed a decline in opioid prescriptions among pregnant women from 14.9 percent in 2005 to 12.9 percent in 2011. Future data analysis will help determine if recent nationwide efforts to reduce the overall amount of opioids prescribed could account for these slight reductions."